After 20 years of living in Florida, I finally made my first trip to the Florida Keys back in ’08. I couldn’t believe I went all those years without discovering this awesome string of islands. I stayed in Key West on Duval Street (as one does), and scouted out day activities from information stands outside our hotel. I remember thinking that these couldn’t be the only tour operators in Key West, but as I didn’t do any other research, we settled for the first boat/jet ski/booze cruise combo tour we could find. Although it turned out great, I wished I could have compared other tour operators or researched more activities in the area. For those of you who are starting your Florida Keys holiday planning now, you’re in luck. Meet The Florida Keys Map. The site was created by the team over at digital agency, pruk²digital after a search for activities in The Florida Keys for an upcoming trip came up short. What started as an internal site created for the team, quickly turned into a growing directory of companies and tour operators in the area clamoring to market their business on the site. The site now has around 35 new listings coming in per day and features the team’s “Top Ten” list. So, what can you find on the site? Well, lots of water activities as you can imagine. 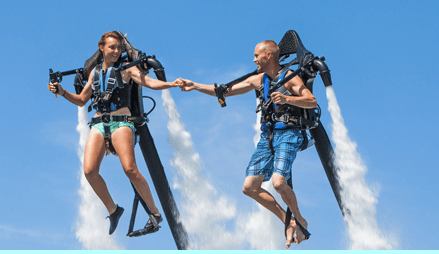 From chartering a fishing boat to scuba diving to jet leving (I didn’t know what it was either, see above photo), the site has a comprehensive list of activities you and your mates can enjoy in The Florida Keys. Visitors can also rate activities and leave comments about their experiences so you can make the most informed decision on what booze cruise is the most fun in Key West. Wait, just me? You can search activities on the site using keywords, location and/or categories. 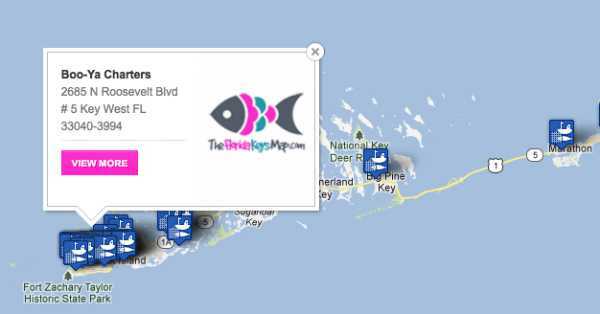 You can even check out the The Florida Keys map (hence the site name) to see what activities are around. There is also a local directory of bars, restaurants, gas stations, car rentals, hotels, etc. where you can find all your holiday-making needs. Oh yeah, and if someone is tweeting about The Florida Keys, the site will have it up there in real-time so you can see what social media buzz is happening about the area. And, of course the site also features the all-important weather forecast. 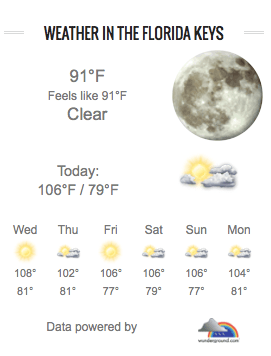 As of today, The Keys are 91 degrees. Jessie James just tweeted “loving this weather!” If you’re still experiencing snow and want to go on a trip somewhere hot, do yourself a favor and visit The Florida Keys Map website and start planning your holiday in the gorgeous Keys. I can vouch for it’s awesomeness.